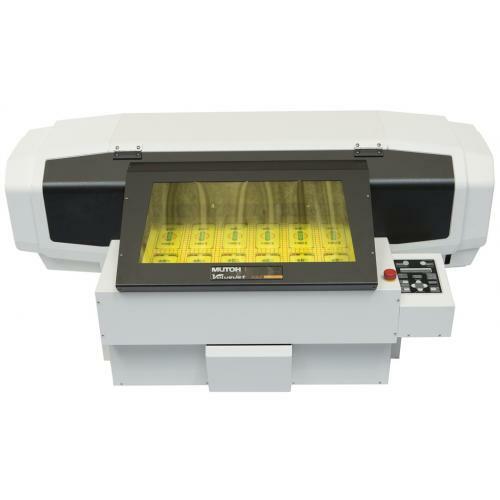 The ValueJet VJ-426UF is a compact A3+ flatbed 6-colour LED UV printer with integrated vacuum table. Offering a print table area of 483 mm (19”) x 329 mm (13”), the VJ-426UF enables direct printing onto objects up to 70 mm thick. The printer will deliver exceptional print quality on a wide variety of solid materials and objects including ABS, Alu-board, PC, PE, PET, PMMA (acrylic), PP, PS, PVC and glass.